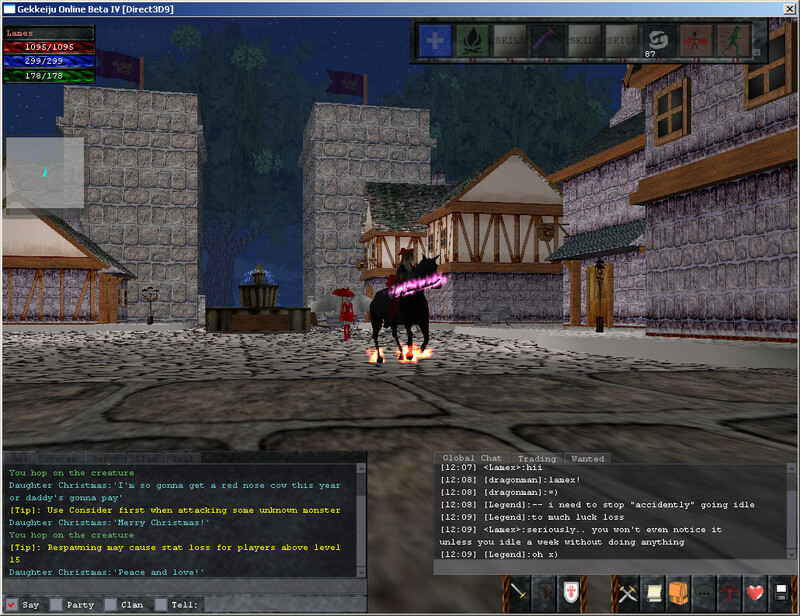 Gekkeiju Online, like Rubies of Eventide, is a free online RPG/MUD with 3D graphics. Although the name looks Asian at first glance, the game is actually in English. Relatively new considering the genre, this MUD has been running since 2003. The fun thing about MUDs is that they generally offer more depth than the large MMOs and give players more control of the game. 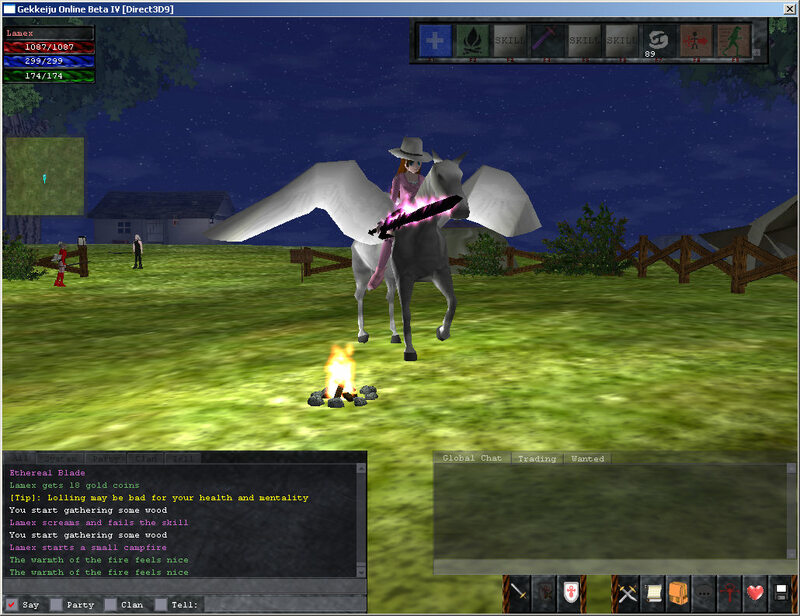 For example, Gekkeiju Online allows players to control their own boats and houses, the capturing of rival clan castles, and merchant carts that allow players to sell goods without being online. However, MUDs are usually ignored by casual players because nearly all MUDs are text-based without any graphics. This is where Gekkeiju Online and the previously mentioned Rubies of Eventide really draw attention to themselves in the genre because both games deliver a classic MUD experience with full 3D graphics. While Rubies was once a pay-to-play MMO, Gekkeiju Online has always been free. Gekkeiju is constantly in development, but should be given a try by players looking for a deeper online gaming experience. Rentable houses that can be decorated. 200 total levels. Levels 101 to 200 are known as Hero Levels. Characters can be reincarnated in order to switch classes. Merchants have carts so that can sell items without having to be online. Merchants do not have to fight to gain expeience. New game client is in development. Clan castles can be captured. Some creatures can be tamed to be your mount or trained to fight for you. Allows groups up to 8 players. Comment: There are more in-depth MUDs with no graphics, but I prefer this one. Comment: A MUD with graphics! Pretty fun because you can do so much. Gekkeiju Online is free to play.